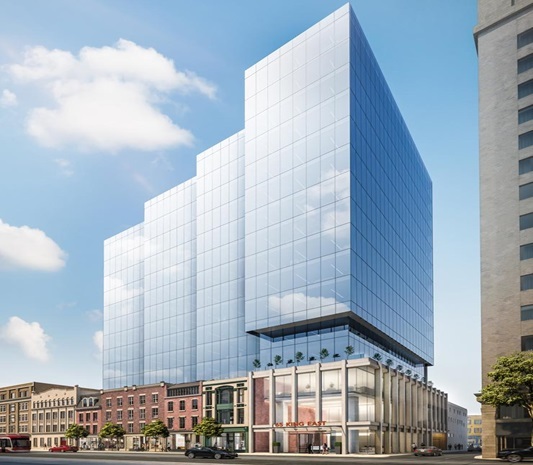 Carttera Private Equities has broken ground for a next-generation office development at 65 King St. E. in downtown Toronto. 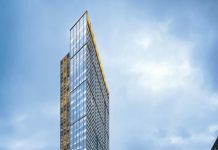 The 18-storey will offer 400,000 sq. ft. of office space to the neighborhood. The building is designed by WZMH Architects and IBI Group, according to a report from Urban Toronto. The project’s ground floor will offer support to retailers and the office tower lobby, while levels 2 through 18 will feature between 15,705 sq. ft. and 29,131 sq. ft. of office space. 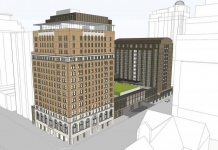 The building will also feature 18,152 sq. ft. of terrace space. Terraces will range in size from 678 sq. ft. to 4,600 sq. ft., according to the report. The project team includes PCL Construction, CBRE, Entuitive, Soberman Engineering, Smith + Andersen, Jag-con, and Ecovert.